Which comes first, the chicken or the egg? At TopLay our hens come first! Our hens are treated with extra special care and are fed the highest quality feed to give you the eggs you trust. An ideal breakfast will fill you up until lunch and provide protein to give you the energy to start the day off right. 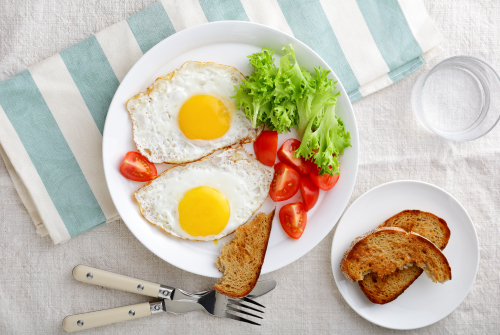 Eggs contain many nutrients, making them a sensible food to add to your diet at any time of the day. See all our breakfast recipes here. Eggs are one of the most versatile ingredients used in baking. They form the backbone of many baked goods and contribute to the structure. 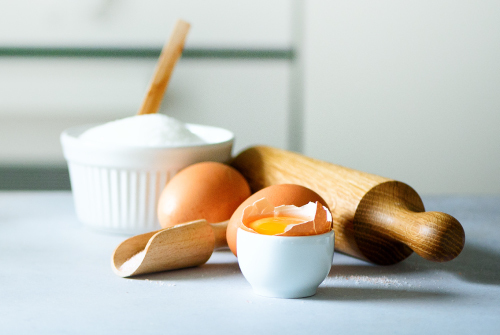 The egg whites also act as strengtheners to keep your baked goods firm! See all our baking recipes here. Even though eggs are an important part of breakfast, they can be used in many other dishes and definitely aren’t just for mornings! 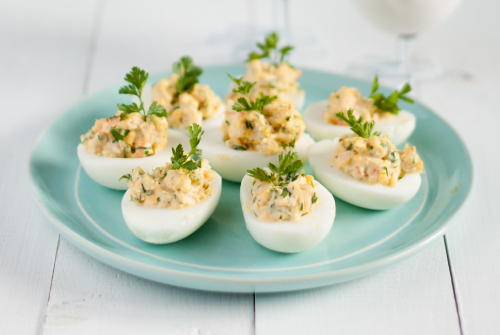 Eggs can be used for lunch, dinner, snacks and more! See all our other recipes with eggs as the star ingredient here.